The latest TVC features Jodi reminiscing her bonding moments as a kid with her mom, and fast forward to the present, with Jodi letting Thirdy experience the same happy moment while enjoying their favorite Jolly Spaghetti. 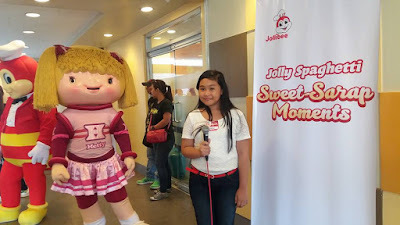 And they both shared their own personal experiences during the media launch held at the Ortigas Roosevelt branch, wherein Jollibee welcomed its newest brand ambassadors for Jolly Spaghetti. 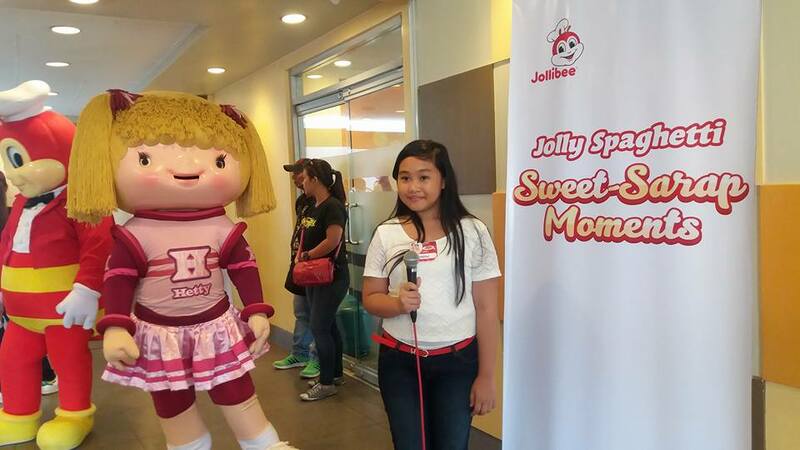 The Jolly Spaghetti Sweet-Sarap Moments event also featured fun games for the media guests and their kids.